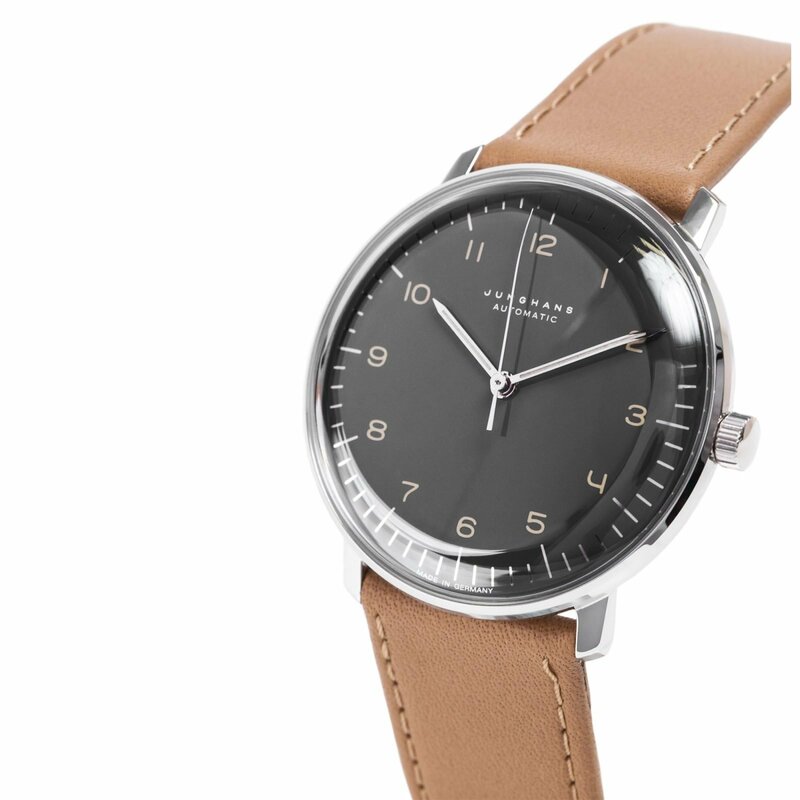 The Junghans Max Bill Automatic series commemorates the work of Swiss architect, painter, sculptor, and designer Max Bill with a minimalist design. 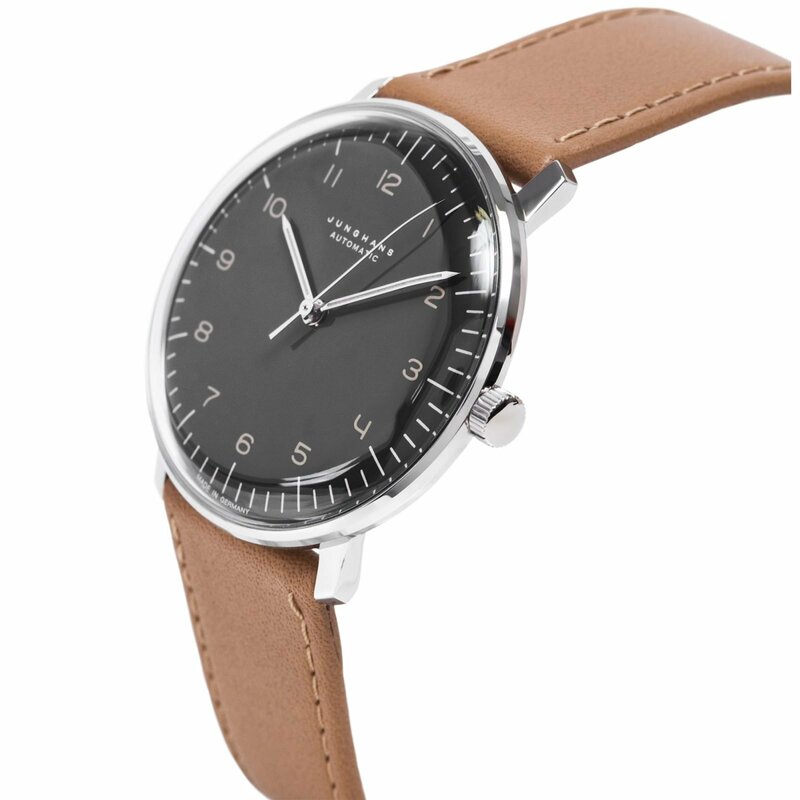 Unlike the chronoscope collection, this timepiece has a pared down dial without date or chronograph functions. The clean aesthetic maximizes the impact of simple elegance. Thin markers and hands provide excellent legibility, while the eco-friendly luminous coating brings peace of mind that you’ll be able to read the time even in low-lighting conditions. 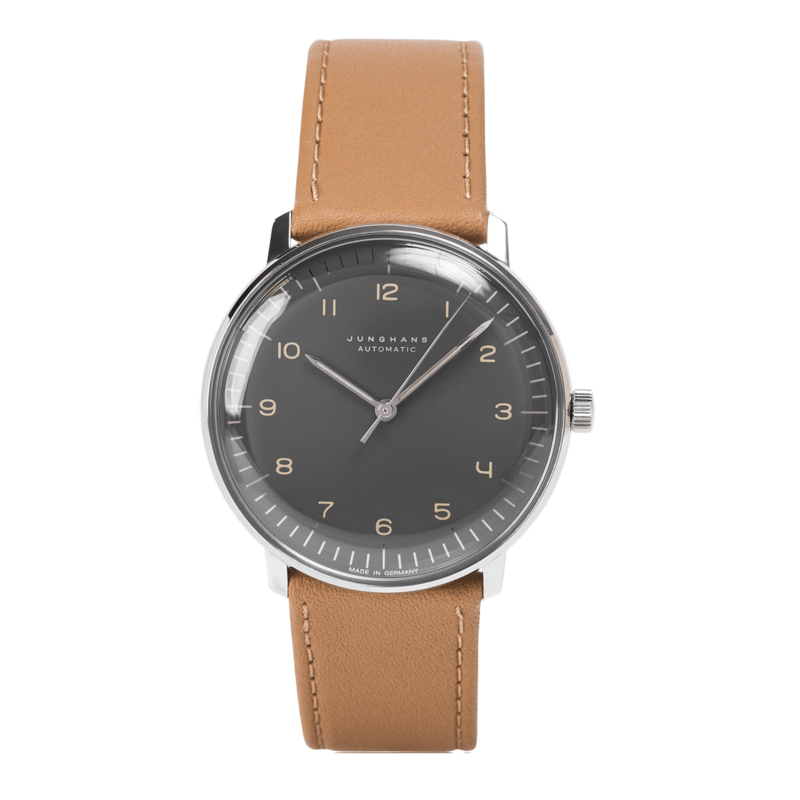 This watch comes with a self-winding movement, a Sicralan coating on the glass for extra scratch-resistance, and an elegant light brown calfskin leather strap. Other watches from the same collection are also available.